Falcon Inflatables is the evolution of what started as a hobby of one of the original industry pioneers, Marius Heyneman. His involvement in boating started in the mid 1970’s and along with a handful of enthusiasts at the time laid the foundations for the South African inflatable boat industry. Inflatable boat racing was born, and along with it demand for locally produced boats grew. In 1985, demand reached the point where it was feasible to start manufacturing. Along with the help of his wife and children, Falcon (originally Infanta until 1993) was born. Racing proved to be one of the best test platforms, but the boundaries had to be raised. Then came a National racing circuit, and later the 1000km Trans Agulhas. Even though Falcon as achieved dominant race wins in every class ever entered, this was not enough. Adventurist Mike Baker took up the challenge and conquered circumnavigating the entire South African coastline – the only inflatable boat to ever have achieved this.Through continuous re-investing and an endless family passion, the brand grew globally, and by 1993 a new manufacturing facility was established, where all processes could take place under one roof for maximum quality control. In 2011 Falcon was the first ever boat manufacturer in Africa to adopt a full international standard MRP manufacturing control system. 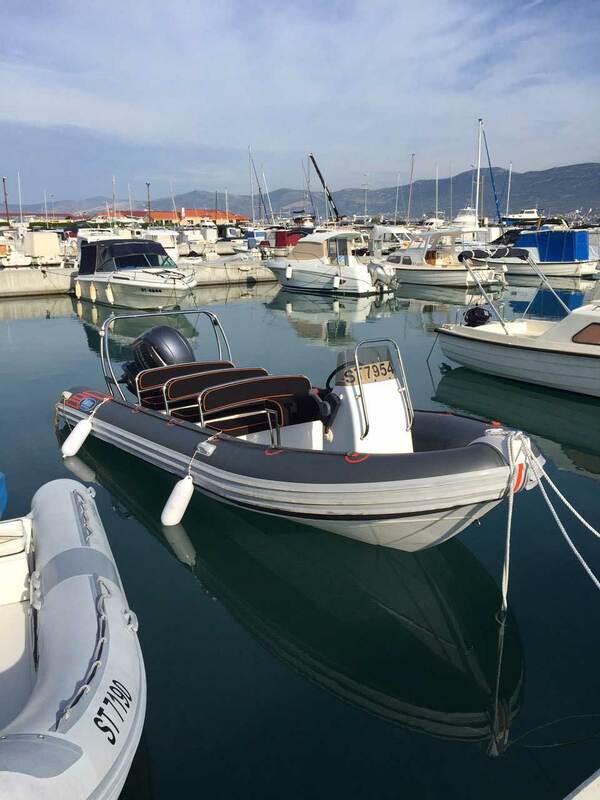 Today, Falcon rigid inflatable boats are actively used in over 40 countries globally. Users range from recreational to custom-engineered turn-key solutions for specialized medical, military and commercial applications. Marius, his wife Joey, and sons Chris and Marius still share the same passion to continually raise the bar for quality, durability and customer service. Falcon operations from 2 facilities covering a total of just over 2000 square meters. The first, a high tech 1200 square meter manufacturing plant houses the research & development department, manufacturing of hulls, tubes, upholstery and all GRP accessories under one roof. All products are manufactured to their appropriate global standards and strict quality control is part of the process. All manufacturing, scheduling & resource planning is accurately controlled by an advanced MRP system, modelled off Japanese manufacturing principles. With more than 500 documented individual manufacturing sequences on file, every step of every part is accurately controlled and recorded for absolute quality control and manufacturing efficiency. 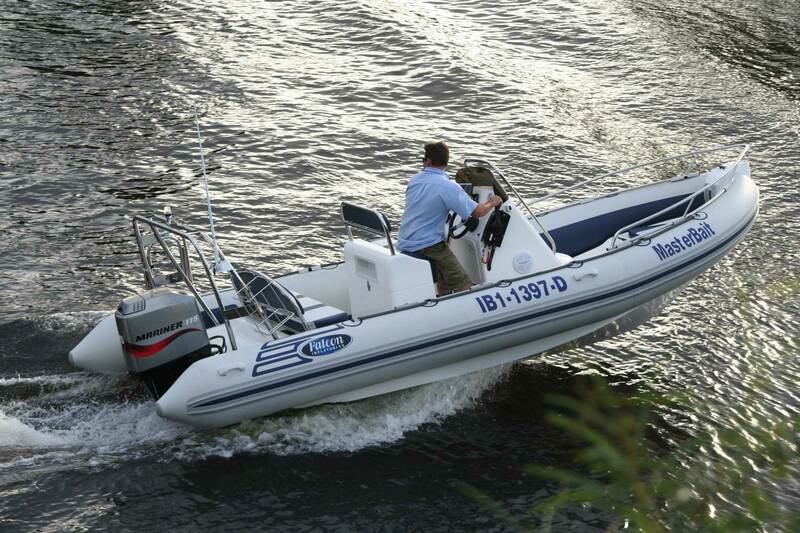 At present, Falcon is the only boat manufacturer on the African continent making use of such a system. Administration, installation, rigging & configuration is done at the showroom and workshop facility totalling about 800 square meters. The very experienced and highly qualified workshop team are dedicated to ensure top quality workmanship. We don’t take shortcuts and use only the best components to ensure that your Falcon will never let you down. Preliminary development testing -testing is done at Falcon’s privately owned facility located on the banks of the Breede River only 4km from the factory. Secondary development testing is done at the mouth of the Breede River, 80km away, where boats are exposed to notorious & unpredictable inland, breaking surf and open sea conditions. Wherever possible, every completed new boat package is water-tested prior to delivery.